FOR TEACHERS for students (FTfs) was launched in July 2009 and has since grown into a highly visited website for lower primary, primary and middle-years teachers and home school educators. It has been designed for busy educators who want fast and intuitive access to flexible Australian Curriculum-linked education resources that can be easily implemented in the classroom and adapted to meet the various learning levels of students. Following is the FOR TEACHERS for students education material posted on FTfs. 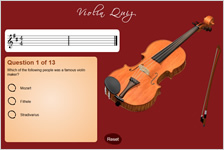 Focuses on the violin/fiddle, how it is made, its history and the contribution it makes to various cultures. Facts for students, lesson and activity ideas, student activity sheets and extra resources including fiddles throughout the world interactive map and interactive quiz. ANZAC Day: its history, commemorations and ongoing meaning to Australians. Facts for students, lesson and activity ideas, student activity sheets and extra resources including an interactive Vietnam War Iroquois Mission game and photo gallery. Explores the theme of Australia including geography, population, wildlife, attractions, symbols and more. Facts for students, lesson and activity ideas, student activity sheets and extra resources including a short story. Explores the Indigenous and European histories of the territory as well as facts, figures and attractions. Facts for students, lesson and activity ideas, student activity sheets and extra resources including a photo gallery. Focuses on the skeleton and bone health. Explores the skills required to calculate with Australian notes and coins, including exchanging, calculating change, creating simple financial plans and applying discounts. Also considers the appearance and production of Australian currency. Facts for students, a curriculum-linked unit of work with activity sheets, extension lesson ideas and a list of useful websites. Focuses on Christmas, its traditions and how it is celebrated around the world. Facts for students, lesson and activity ideas, student activity sheets and extra resources including the short story ‘A ‘Novel’ Christmas Eve’. Focuses on the traditions and celebrations of Christmas. Facts for students, lesson and activity ideas, student activity sheets and extra resources including a link to the Australia Post Santa Mail program and the short story ‘A ‘Novel’ Christmas Eve’. Explores the theme of Commonwealth Games including its history, the host city, the sports and the participating countries. Facts for students, lesson and activity ideas, activity sheets, photos and/or illustrations and a list of useful websites with extra resources. Explores the theme of democracy and government including its history, the three levels of government in Australia and our voting system. 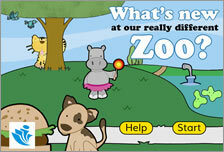 Facts for students, lesson and activity ideas, worksheets and a list of useful websites with extra resources. Explores dinosaurs generally, prehistoric earth and Australian dinosaurs. Facts for students, lesson and activity ideas, student activity sheets and extra resources including useful website references. Focuses on Easter traditions and celebrations from around the world. Focuses on the history of Father’s Day and how it is celebrated around the world. 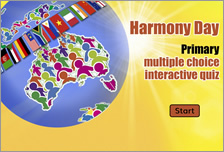 Focuses on cultural diversity, migration to Australia and ideas for celebrating Harmony Day. Explores hot air balloons, including information about the parts they have and how they fly. 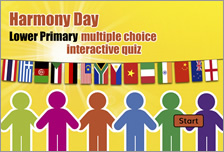 Facts for students, lesson and activity ideas, student activity sheets and extra resources. Explores the skills required for STEM-based learning including how to be a critical and creative problem solver. Also considers intellectual property and Australian innovations. 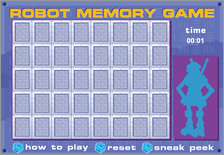 Facts for students, STEM-based challenge cards and a list of useful websites. 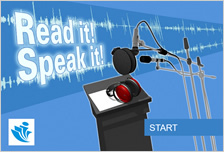 Focuses on letter writing, the history of communication and how to write a personal letter. Facts for students, lesson and activity ideas, student activity sheets and extra resources including a letter writing interactive and instructions on how to write a letter and address an envelope. Focuses on letter writing, the history of communication and how to write a personal or business letter. Focuses on the history of Mother’s Day and how it is celebrated around the world. Explores the Indigenous and European histories of the state as well as facts, figures and attractions. Explores the theme of the Olympic and Paralympic Games including their history, the sports, Australia’s involvement and the participating countries. Facts for students, lesson and activity ideas, activity sheets and a list of useful websites with extra resources. Explores the theme of organic farming including foods, products, statistics and the process of organic certification. Focuses on the history and traditions that surround Remembrance Day. Information about the renewable energy sources being used or explored in Australia including solar, wind, geothermal and hydro. Explores the theme of seasons, including the months in which they occur and the types of weather we experience. Facts for students, a unit of work, lesson and activity ideas, activity sheets and a list of videos and useful websites relating to the seasons. Explores the power of water and how it has been used for thousands of years to help humans do work and generate electricity. Facts for students, lesson and activity ideas, student activity sheets and extra resources relating to water power and renewable energy. Explores simple machines, how they work and how they assist us in everyday life. 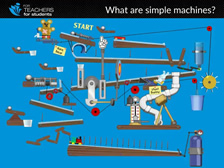 Facts for students, lesson and activity ideas, student activity sheets and extra resources relating to simple machines.